President Vladimir Putin signed out the latest MOD promotion list on June 11, 2016 — the eve of Russia Day. Find the original on Krasnaya zvezda. Or check out the running list in English here. This list had six two-star and 29 one-star promotees. Promotions came to commanders of three army-level formations, five divisions, and three brigades. It looks like, just possibly, a nephew of General Staff Chief, Army General Valeriy Vasilyevich Gerasimov — one Vitaliy Petrovich Gerasimov — made general-major in command of the Aleysk-based 35th MRB in the Central MD. But it might be a coincidence of surname. It’s common. The younger Gerasimov was born on July 9, 1977 — making him a general officer at the tender age of 38 years and 11 months. He’s a native of Kazan and graduated from the higher tank command school in that fascinating ancient city on the Volga. It’s possible to see (perhaps imagine) a family resemblance. The elder Gerasimov was also born in Kazan, in 1955, and also commissioned out of the tank command school, in 1977. The question is does Valeriy have a brother named Petr Vasilyevich Gerasimov? Look for the next promotions in December. Complete coverage of General Staff Chief Valeriy Gerasimov’s remarks on the surprise inspection and readiness exercise can be found on Radio Voice of Russia or Mil.ru. According to the newly-minted army general (four stars), the General Staff planned the inspection on the Defense Minister’s order. It evaluated command and control organs, formations, and units of the Central and Southern MDs, VDV, VTA, and the 12th GUMO. It was the largest of its kind in 20 years. The inspection began at 0400 on 18 February when operational and unit duty officers received packets with General Staff orders to go to higher states of combat readiness and carry out combat training missions. This, Gerasimov said, required moving and transporting forces to exercise areas and “unfamiliar terrain” far from their permanent deployment locations. The inspection included 7,000 soldiers, several hundred pieces of equipment, and 48 aircraft. The General Staff Chief emphasized that the inspection was a complete surprise to command and control organs and troops to allow for objectively the combat readiness of formations and uncovering problems. He praised the readiness and performance of sub-units of the VDV’s 98th Air-Assault Division (Ivanovo) and the 4th Air Forces and Air Defense Command (Southern MD / Rostov). What was likely a battalion tactical group of the 98th loaded in twenty Il-76 transports and flew to Shagol outside Chelyabinsk, marched 100 km under difficult conditions (-20° C / -4° F, broken terrain, deep snow cover) to Chebarkul, and conducted its combat training. For its part, the 4th VVS and PVO Command’s aircraft conducted bombing exercises with good or excellent results. In practically all evaluated elements, duty officers showed weak skill in transmitting orders via automated combat command and control systems. They weren’t certain how to receive the order to go to higher readiness. In the VDV and the 201st Military Base, it took too long to send signals to subordinate troops. In the Central MD’s 28th Motorized Rifle Brigade, training center graduates, drivers, and mechanic-drivers showed a low level of training. Tank and BMP crews usually got only satisfactory in firing exercises. Young officers just graduated from military schools exhibited poor knowledge of weapons and equipment. Interesting, where does the fault lie? The factory or troops and young officers who don’t know how to use or repair it? 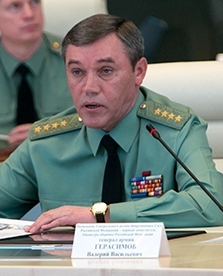 Gerasimov admitted and lamented that nearly two-thirds of aircraft (in units being drilled?) is out of repair. He called effective resolution of this problem the most important joint task of command and control organs and industry. Gerasimov called the BMD-2 both obsolete and worn-out at 20 to 25 years old, or even more. At 14.2 metric tons, he said the BMD-4M’s weight is at the limit for air transport, and an Il-76 can only carry three. The General Staff Chief cited repair problems with Mi-8 and Mi-24 helicopters, Su-25, self-propelled Msta artillery, and R-168-5un radio. He indicated the still experimental Volk armored vehicle doesn’t meet 12 of its TTZs and won’t undergo repeat state testing. 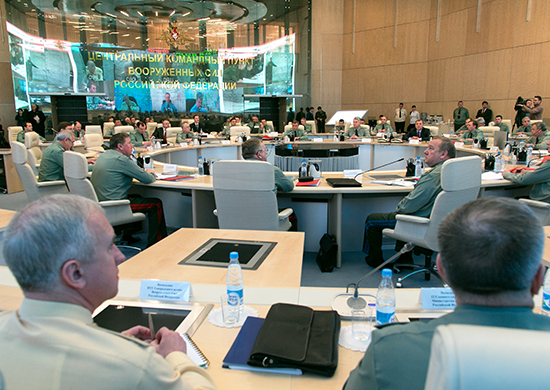 Gerasimov said the Defense Minister has decided inspections like this will now take place on a regular basis.